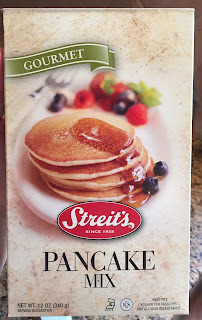 Passover started on April 22 this year, and today, we tried Streit's Pancake Mix for breakfast. 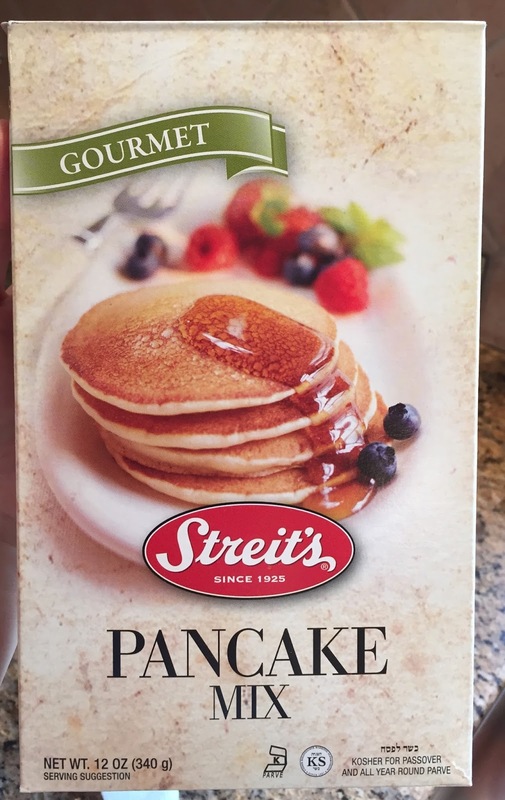 On the side, there's a history of Streit's. Apparently, it's opened in Lower East side in 1925 as a matzo bakery. Matzo is a bread in cracker form and made without yeast. 1. 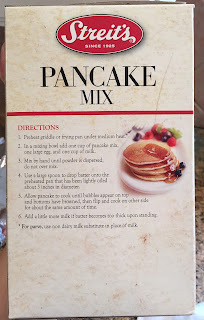 Mix 1 cup of pancake mix, 1 large egg and 1 cup of milk. 2. Pour onto a preheated and lightly greased pan on medium heat. For Parve, meaning no dairy or meat, you can use non dairy milk as a substitution. When added egg, the batter became too loose and we added some more cake mix. As a test, we made a small (3 inch/7.6cm in diameter) pancake. I let it cook till the pancake became bubbly and flipped. 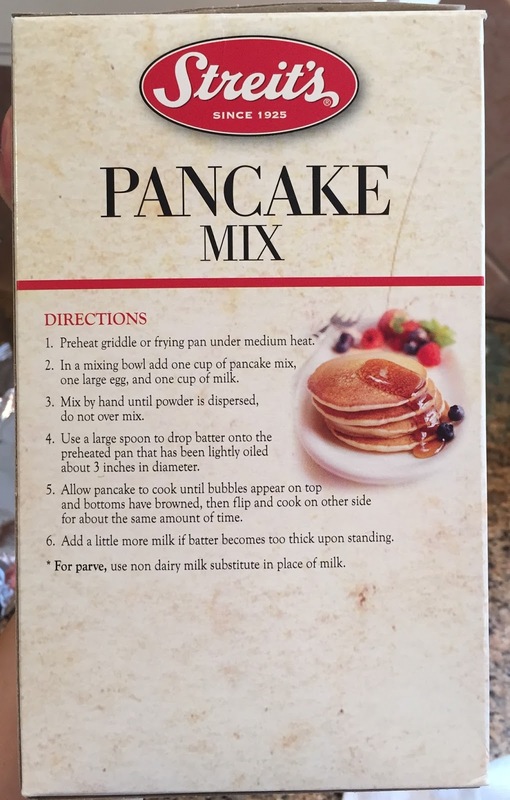 The way it bubbled up was exactly same as regular pancakes. The pancake turned out good and it looked like a ordinary pancake. It had a subtle saltiness like buttermilk and the inside was chewy, and I think the chewiness was from tapioca dextrose. I like large pancakes so that I made much larger pancakes. I added some maple syrup and it's quite good. My husband said it tasted like matzo and didn't like it, but I thought it's tasty. 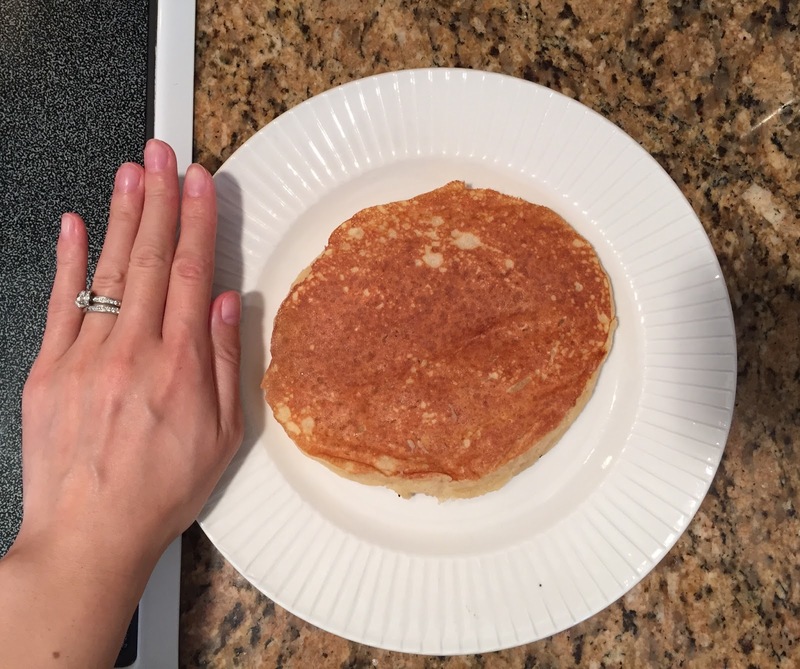 Maybe 5.9 inch/15cm in diameter, and I felt like I was eating a less salty buttermilk pancake. Another Passover item I've reviewed.